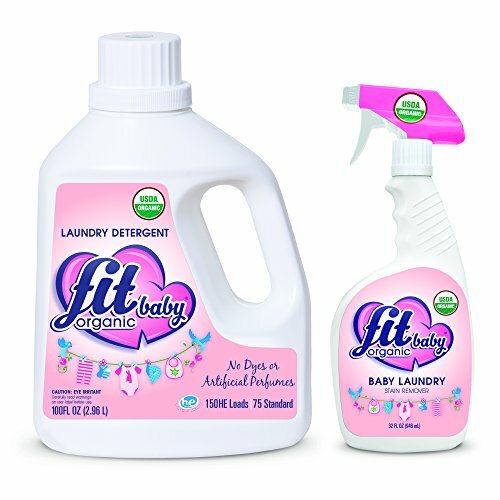 Fit Organic Baby - Laundry Detergent - We provide a unique approach to cleaning tough baby stains. Using organically certified ingredients, Fit Organic is able to power away tough stains and odors without leaving any residue behind. Not only is it safe for your baby's skin,but it's also free from any of the chemicals linked to skin sensitivities or irritations. Unlike other so-called "Natural" brands, Fit Organic Baby Laundry contains NO SYNTHETIC DETERGENTS and NO ARTIFICIAL SURFACTANTS of any kind. Instead, we make organic soaps the way it was done over a hundred years ago. We start with only certified organic plant-based oils and mix them together with natural minerals to create our unique formula. If you have any questions about this product by Fit Organic, contact us by completing and submitting the form below. If you are looking for a specif part number, please include it with your message.